It's Raining UpDesks at the Geek Beat Studio! Home > News > It’s Raining UpDesks at the Geek Beat Studio! It’s Raining UpDesks at the Geek Beat Studio! March 2, 2014 by John P.
UpDesk is Donating Standing Desks For the Entire Office! Last Tuesday we released our 800th episode of Geek Beat, when we announced that we’ll be moving into our very own brand new building! It’s going to be a magnificent new facility with dedicated, proper studio space, and plenty of room for working, holding workshops, meetups, or whatever else we feel like doing! We’ve got big plans for the renovation, but as you can imagine we certainly don’t have all the details sorted out for what we’re going to do much beyond that. Of course, moving from our 4,000 sq ft. building to an 8,500 sq ft. building means that we’ll have a lot of new space to contend with furnishing and outfitting. And obviously the fine folks at UpDesk realized we’d be in need and came to the rescue! Here’s a little video I shot when we first got the UpDesk in, although they’ve changed a few things in the new version of the UpDesk this will give you an idea of its capabilities. Especially the part where three people sat on it and the motors still lifted it up with no problem!!! So now the biggest problem of all is… which UpDesks should we outfit the office with? 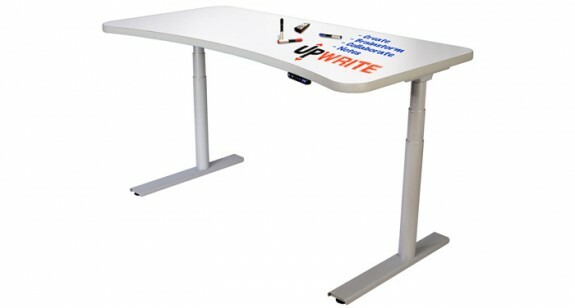 They have the UpWrite, which is a desk with a whiteboard surface top! They have the PowerUp, which comes in Geek Beat Orange! Can you imagine a whole office full of these? It would certainly be striking! Not only are there a lot of options, there are a lot of accessories! And we can’t really decide what to do! So we need YOUR help! 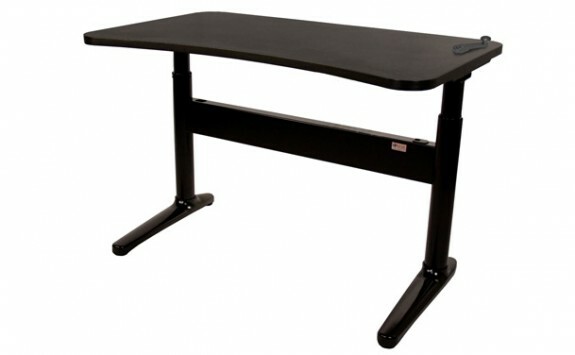 Tell us which UpDesk, color, size and accessories YOU think WE should go with! It’s basically a democracy, so everyone gets a vote. Drop yours in the comments below. 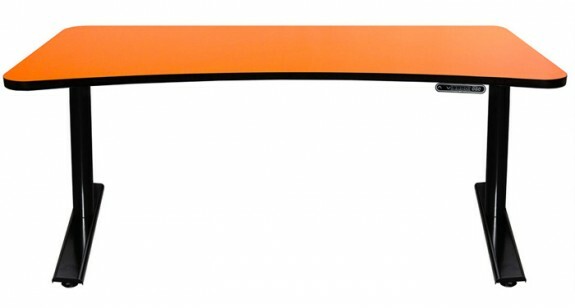 Possible to get several different models for the new place?